Outside of the Gallery of Modern Art in Glasgow, you will find a statue on a plinth. The statue is of the Duke of Wellington on his horse. Almost invariably, you will also see that the Duke is sporting an orange traffic cone as a hat. As a Glaswegian, I know that this is not a sign of disrespect, but a show of affection for the statue while also representing a bit of “Glasgow humour”. In the past there have been numerous attempts to stop the ‘vandalism’ but as soon as the police or council workers remove the cone, another appears. Sometimes the horse is also given a cone as if to say….take one traffic cone away and we will return it two-fold! 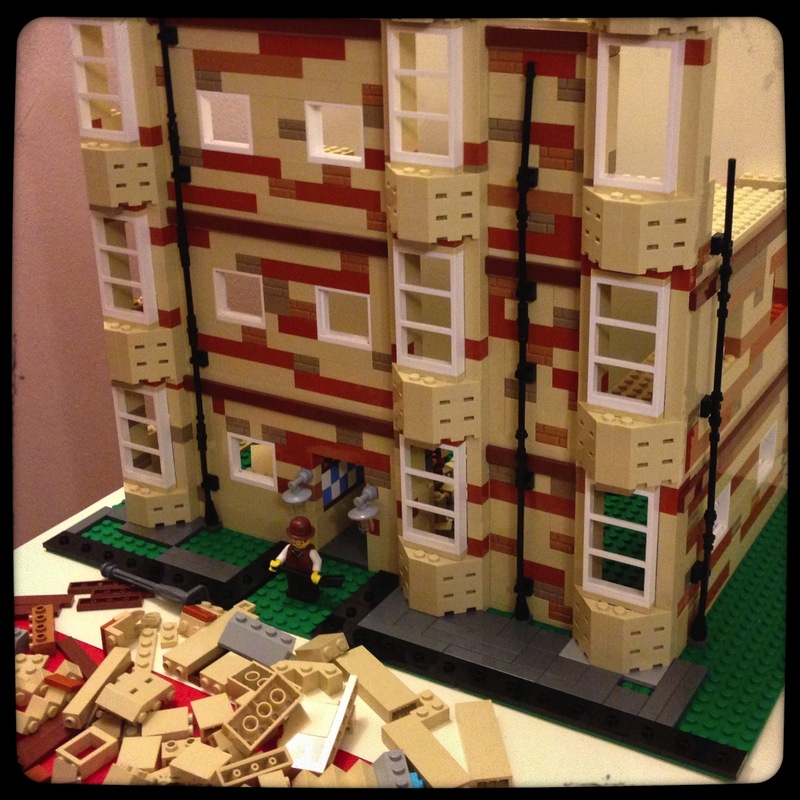 Categories: Display, Glasgow, Lego, Uncategorized | Tags: cone, Duke, Exchange, Gallery of Modern Art, Glasgow, GOMA, Lego, Royal, Square, Stature, traffic, Wellington | Permalink. 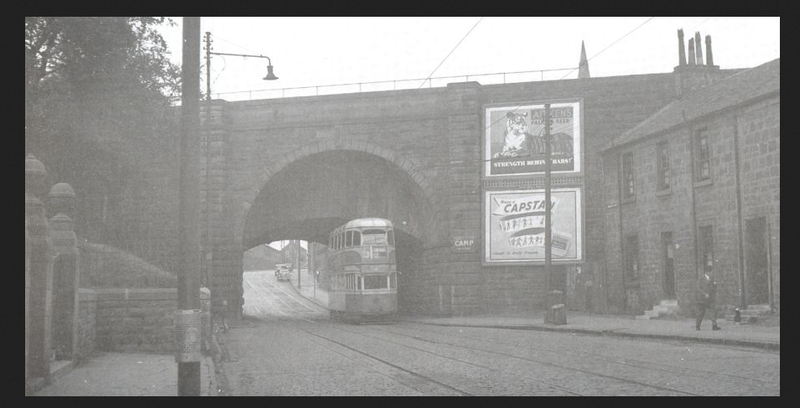 Maryhill Road used to have trams that would fun all the way to the city centre – this was well before my time. My Dad had an old painting or photograph (I can’t remember which) in the hallway that depicted a Maryhill tram going under the aqueduct right outside out house. His photograph was very similar to the image below . Our house was to the left of the photograph where you see the two bollards, there was a gate and our house was up the path. This photograph shows an area that is very well known to me although the houses opposite were grassland up towards the canal and started about 100 further to the right before the bridge when I was young. 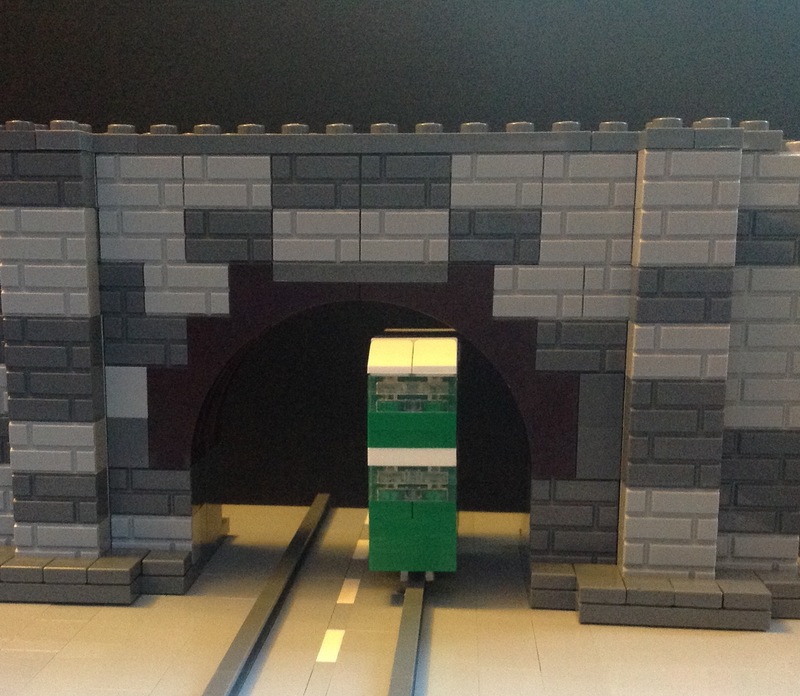 Categories: Glasgow, Lego | Tags: 1930s, Glasgow, Lego, Maryhill, Maryhill Road, Tram | Permalink. I’m from Glasgow, Scotland. I went home a couple of weekends ago and every time I go home, I become aware of just how much I love our tenement buildings. I am loosely basing this build on the work of an artist called Avril Paton, in particular her works Bedsits www.avrilpaton.co.uk/content/Bedsits/3061. Lots still to do…spot that wally close…. 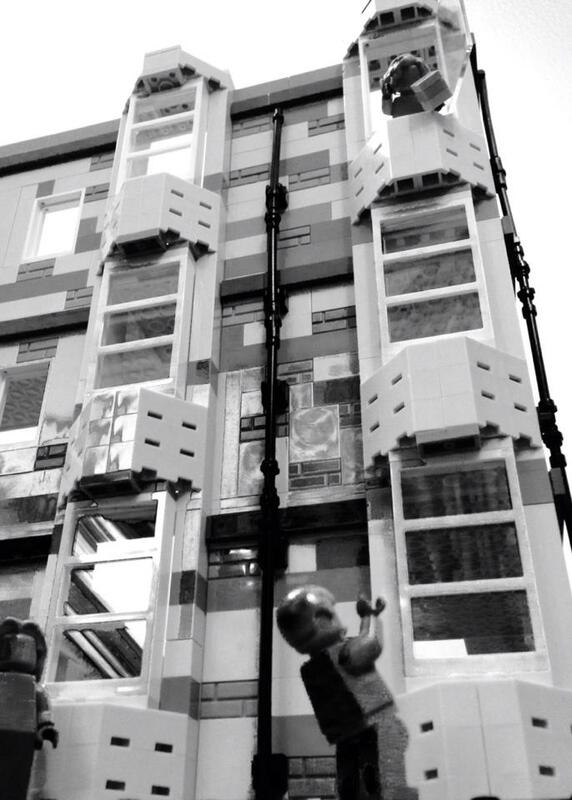 Categories: Lego | Tags: Avril Paton, azurebrick, Bedsits, Glasgow, Lego, MOC, Tenement, Wally tiles | Permalink.